The morning priya got a message from ram , " am coming to pick u up.. plz do wear jeans n t shirt aaj tumaari chutti hai" she dint understand what ram said as usual she went to get ready for her college. She was in her room getting ready. Shipra banged her room.
" priya I want money." " y .. ma ?" " ab mein tumme report dena padega kya.. whatever ayesha ne online shopping pe yek dress order ki uskheliye. Card do tumara"
" mera card .. yelo .. waise dress kitna ka hai maa"
" 15000 .. Ayesha look so pretty in that" shipra went off exited ..
" when did u come"
" what is this priya I told u u are going to college n u are on leave go get ready in some jeans n tees. "ram but y?" ram dint listen n made her change. She came out.. Ayesha was so happy seeing her pink dress. which is delivered. She tried it and came to living area . saw ram . priya came out " chale" ram smiled looking at Ayesha in pink.
" uh ram how am i looking this colour suits me lot na" asked Ayesha . ram had no answers he is about to lol. " yeah ur looking very pretty..PRETTY.. like a Japanese Barbie doll' . Come priya will leave.. haan aunty I will drop priya ..
" maa I dnt like priya being close to ram. I like ram he is so hot n cool rich bhi hai"
" arrey Ayesha ram tho priya ka friend hai bas aur kuch nahi . if there is I will be there to crash it"
" ram u on bike .. must compliment u u look ho..[ stopped] haa. Han hansome with this bike hmm ram kapoor ka dusra side"
" aur yek side bhi hai no one ever saw it. Do u want to see" he smiled..
priya sat on bike if she want to sit properly she has to hug ram from behind as the seat is very high. She hugged him and he took her to golf club , shopping . lunch to his office as he has some imp call. His office staff is surprised to see the macho man ram kapoor with a senorita. " priya come.. in" priya entered his cabin. Sat in the couch. He just forgot she is there in the cabin he was busy with his work priya gazing him . she never saw this ram. Businessman , ab itna bada empire manage kiya tho aisa hogi na. he was angry on his employees for making mistakes. The very next moment he got a call from nuts , then transformed to a caring loving bhai.
" am sorry priya I had to come here are u not bored"
" no ram I understand" " priya u look so beautiful in loose hairs"
" thanks ram" she was about to move she tripped he held her firm by her waist.
" sambal ke " he made his hand move on her waist to catch a grip. " ram I am ok ." ram thinks . aww god kash I could hug her tight and kiss her she smell so divine n her lips are luscious and inviting. Ram finished his work.. took priya to a beach.. they walked on the beach..
" eww no .. not hygienic." " fine u stare I will eat.. " she was enjoying the taste. N ram just staring at her suddenly he took one from her plate and try it. He almost made it fall on him. Priya took one kept it in his mouth and helped him to eat .
" don't tell me , u want to eat gola"
" no way ab chalo " .. they went to shopping ram bought priya nice designer top to change. They went to disco. Ram enjoyed a lot for the first time ever he came with a girl to disco. Soon he got out because priya is uncomfortable..
Ram dropped priya home after the lunch in the beach house.
" priya.. y dint u ask me"
" y I did all this today"
" I know ram u wanted to introduce me to the other ram . the real ram right." 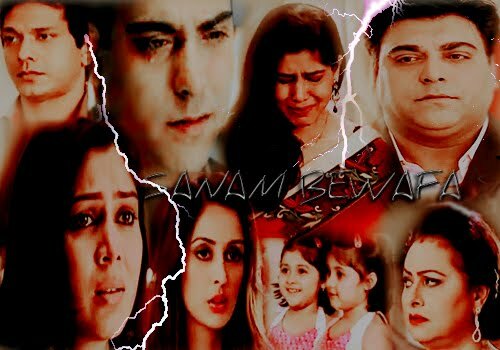 " I don't knw y I feel u should knw what ram is this is me , priya that phase of my life ended with my student life. I went back to those days , and bike I always wished to roam around with my girl . it was awesome day and u look too good in the dress u look hot in saree that too from back n hook '.. "
" priya I am in love with u" the words made priya on cloud 9 . the words she is struggling to hear. World remained still infront of her. That is what her heart says.
" I don't know I can live without u yar . I almost felt I lost u when u said ur meet a guy , I never lie to my mom I did because of u I felt like I have to do something to u.i will do anything for ur happiness, badle mein I need u for a life. I only knew how badly I felt wen I missed u at airport. I never felt alone but the day I met u again in the college is like my breath came back to make me alive.. I love u so much marry me!" he came close to her and the lights of the society were off as pre planned.. he came near and kissed her forehead..
" I love u lot priya" priya's tears rolled down her cheeks, she hugged him tight. Suddenly she released her grip and ran to her flat.. and soon she was near the stares the power came. Ram went home he was confused abt priya's response. He knew she loves him but y is she not allowing it out. He collapse on a couch in the living .KK came there.
" maa .. y dint u ask me to marry priya after u knw we r friends"
" how does it differ ram u bluntly said no long back"
" maa tab ki baath kuch aur and now I love her. Maa I can tlive without her. N wen u asked me I dint realise but it was priya who occupied my heart "
"I know ram I was just expecting u to listen to ur heart." Ram went to sleep . he was restless all the night. Me messaged priya ' I spoke my heart out, I wanna see what u think of me' he slept in priya's thoughts.. in her room she collapsed into her bed..
" ram u should know abt me before u take a decision . I fell in love with again today. I love u as a person not ur name n fame. Love u ram she drifted to sleep.. In the morning priya is getting ready to her college . Wearing a baby pink colour saree. She was about to go and having her breakfast. Shipra receive a call from .. it was from KK. Kk do not know about shipra, her loud nature n about Ayesha.
" haan .. aap ' haan ahsakthe hai.. kabhi bhi"
" meri beti .. mujhe pata hai.. aaap ghar ayeye na"
" tik hai mein rak thi hu" .
" priya tum beech mein mat ah.. mujhse bura koi nahi hoga"
" mein aaj tumaara ristha lekar priya ki ghar ja rahi hu"
" maa.. aap kya keha rahi hai"
" haan meri baath huyi shipra ji se aaj priya ghar mein rahengi tho mein ristha pakka karke ati hu"
" maa I love u"
Shipra is jumping and hopping in the house n priya had tears in her eyes that her mom do not treat her as her family.
" sudhir ..krishna kapoor ne call kiya' ram kapoor ki maa"
" aunty .. y did she call maa"
" mein ne kaha tha na u stay away "
" sudhir mujhe pata tha ki ram ko Ayesha accha laga.. ki kk ristha le kar humaara ghar ah raha hai." " haan . !! maa.. ram .. ram want to marry me?? I cant believe it.."
" tum chup raho .. priya I told u earlier I have only one beti.. that's Ayesha. Haan kk ji asked about u , don't be in house when am talking about my beti's future"
" mumma .. mumma " priya cam to reality ..
" meri home work hogayi.. aur cady didi ka passage bhi"
" priya ji ab aap dono ready hojayiye hum nikalthe hai"
" mumma .. jaldi ready hona" .. they all were ready and ahead to rajath 's house for the dinner.